Looking to spend a week in New York City? Check out our New York itinerary for the best recommendations and tips on how to see the best of NYC in 7 days. This day by day itinerary also includes tips to save money! 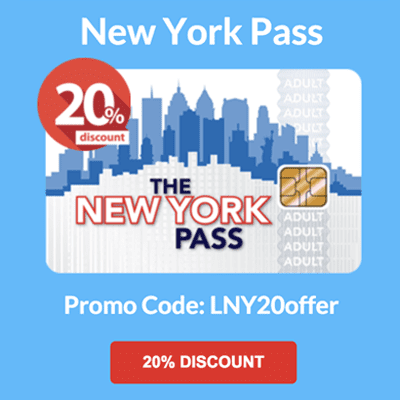 Featured Deal Save 20% EXTRA per person on the NY Sightseeing Pass! 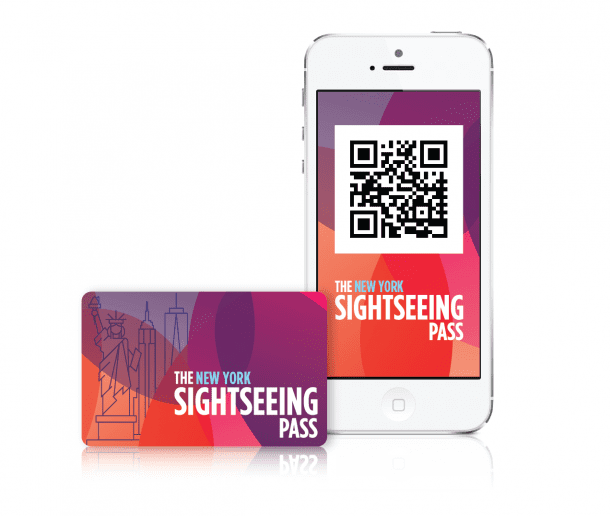 The New York Sightseeing Pass is one of the best deals you can find out there! If you want to visit NYC attractions on a budget, look no further. Once purchased, the pass allows gives you the opportunity to explore freely without having to worry about the costs of individual attractions! You can also visit any attraction without reservations. You’re totally flexible! 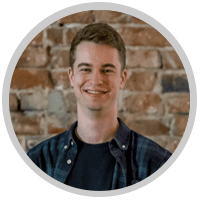 We saved $91 with the pass – and that’s per person! Based off this 7 Day New York itinerary, it makes sense to purchase the Sightseeing Pass Flex for 10 Attractions. Compared to standard admission fees, you will save $91 per person! You have arrived in NYC and you’re ready to explore – where to begin? Start your trip by exploring New York’s most iconic skyscraper: The Empire State Building! Going there early in the day means no wait time and amazing views as the city wakes up. To gain an impression of the city and what you might want to explore further in the coming 7 days, we definitely recommend a sightseeing tour. This is a hop-on hop-off bus tour, meaning that if you drive past a sight you want to explore more, you can do so freely before getting back on the bus and continuing your tour. 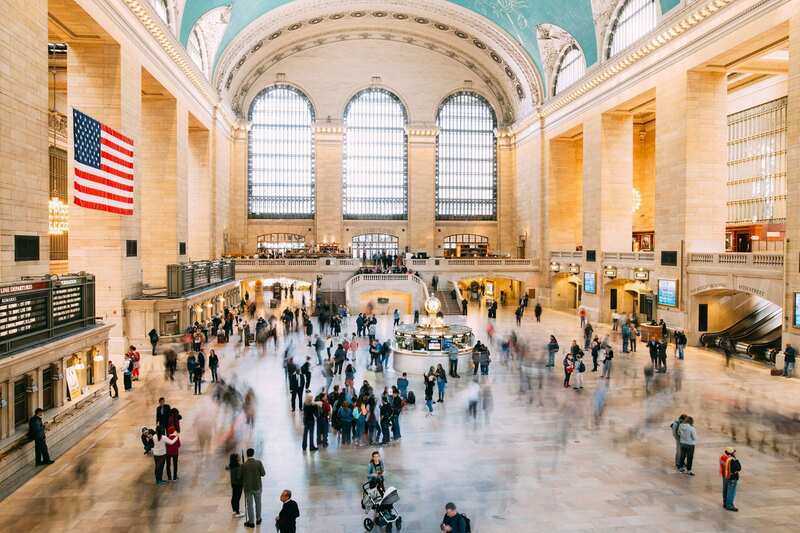 After the bus tour and some much needed lunch, we recommend that you continue with day 1 of your 7 day New York Itinerary by exploring the world famous Grand Central Terminal and New York Public Library with the adjacent Bryant Park. It is simply not enough to see those landmarks from the outside – you need to be inside! When the sun sets, it is time for you to head to Times Square to see the lights at night. We promise, you will be blown away by the view! The perfect way to end the first evening of your New York itinerary by visiting a rooftop bar, from where you can enjoy the most breathtaking views of the city. Day 2 of the 7 day New York Itinerary will begin with a different perspective of New York: from the water. A great boat tour we recommend is the Circle Line Landmarks that starts at Pier 83. 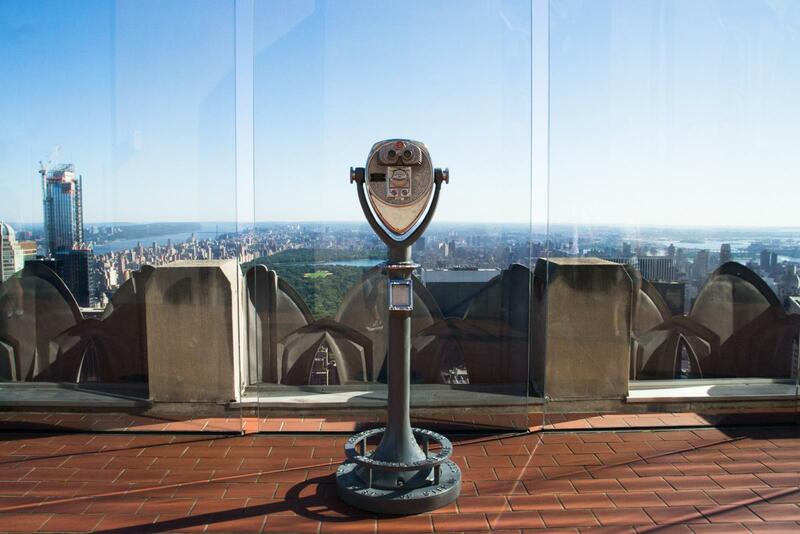 It’s the perfect opportunity to take stunning skyline pictures and also learn about the history of New York. Heading there first thing in the morning helps you avoid long lines! Especially during the summer, boat tours are extremely popular. The Pier is only a short walk away from Hudson Yards and the High Line – a beautiful park that has been built on an abandoned section of railway tracks above the city. It will take you from Chelsea to the Meatpacking District. On the way, you should stop at Chelsea Market to get some delicious food. From there, you can walk through the Meatpacking district to the Flatiron Building, next to Madison Square Park. This evening, you have time to enjoy a show on New York’s famous broadway. If you are coming from further away and are still suffering from jet lag, then simply switch the day with another one later in the itinerary. This way you won’t accidentally fall asleep during the show! Alternatively, you can visit a rooftop bar in the area. 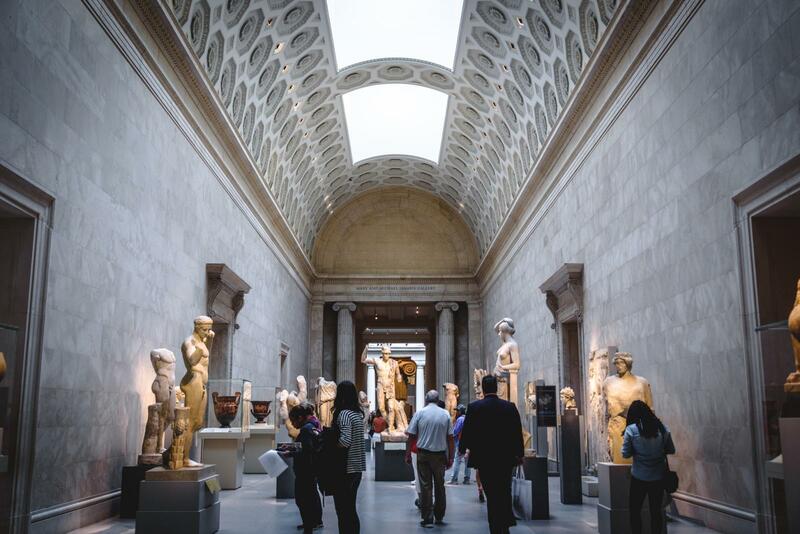 Before starting day 3 of your New York itinerary by exploring Central Park, you may want to consider checking out one of New York’s renowned museums. The so called ‘museum mile’ is located right on 5th Avenue, along Central Park. You will find the Met, the Guggenheim and many other museums on that street. 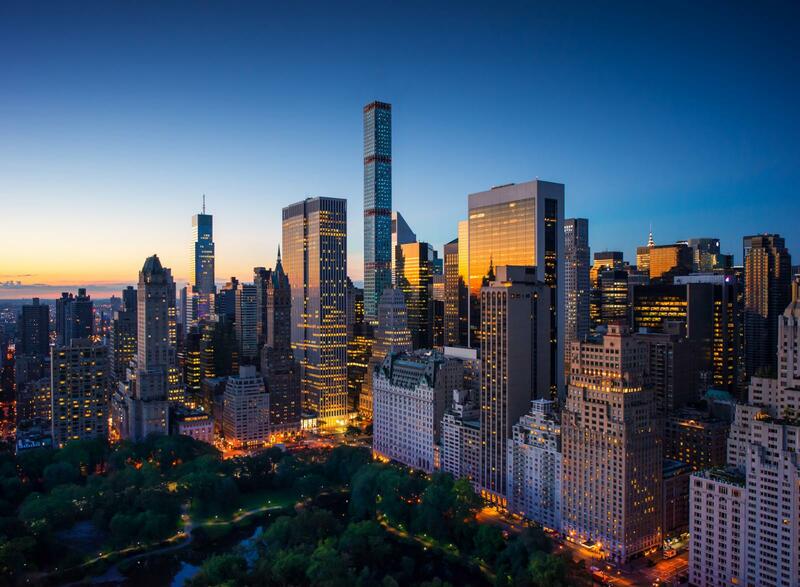 The MoMA and American Museum of Natural History are also located in proximity to the park, which makes it a perfect combination for your NY itinerary. Central Park is home to the largest amount of green space in Manhattan. While you can take bike tours and walking tours, there is so much that goes on in Central Park, we are not sure we can list it all for you! You will see picnics, parties, runners, bikers, horse and carriages, a zoo, lakes, boats, historic landmarks, stages, and the list goes on and on! Exploring a museum and Central Park will take up most of your day. To end Day 3 perfectly, why not walk through St. Patrick’s Cathedral before watching the sunset or night sky from the Top of the Rock – our favorite viewing platform. You can spend as much time as you like up there. When you have 7 days in New York, you don’t have an excuse not to visit the State of Liberty! It’s New York’s most iconic symbol that everyone needs to see! The ferry to Liberty Island departs from Battery Park and will also take you to Ellis Island. If you are truly interested in learning about the Statue of Liberty and Ellis Island, take a guided tour that also includes access to the pedestal. Once you get back to Manhattan, you can walk through Battery Park to eventually get to Ground Zero. You can pass the Charging Bull Sculpture on your way. Once arrived at Ground Zero, we suggest you visit the One World Observatory for the highest views in New York City. 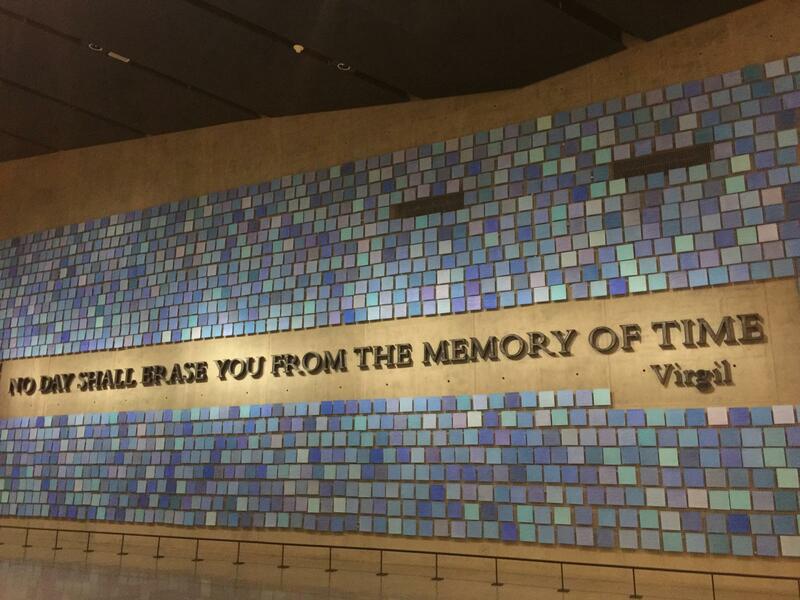 After some delicious dinner in the area, head back to Ground Zero to see the 9/11 Memorial when it’s lit up for the night. Standing in front of the two pools is an indescribable and very emotional experience. 7 days in New York truly gives you time to explore each borough if you are up for it. Today, we recommend you head towards Brooklyn! This beautiful and trendy part of town is the place to be. It may not be as big as Manhattan, but don’t worry, there is just as much to do and see. After exploring DUMBO, head to Brooklyn Bridge Park where you can enjoy another picture perfect view of Manhattan’s incredible skyline. Day 5 of our New York itinerary starts in Brooklyn for a reason: Walking over Brooklyn Bridge towards Manhattan will give you a much better view then the other way around! Once arrived in Lower Manhattan you will be super close to the newly restored South Street Seaport District that you can check out before heading to Wall Street. 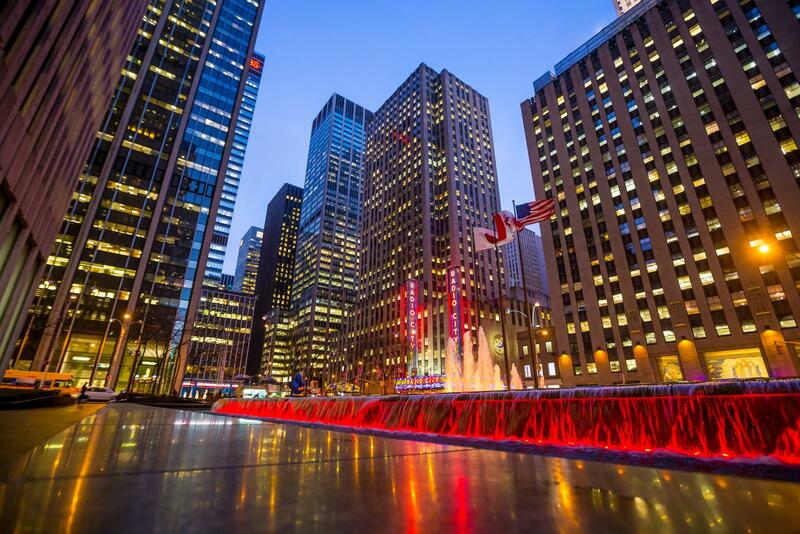 When you are done exploring the Financial District, you will be in walking distance to National 9/11 Museum – a must-see for anyone who is visiting New York. You’d be surprised at how many things you can learn about the day that changed nation. By going there late in the day, you avoid the big crowds. Plan on being there for about 2 hours. Now any of these days from our New York itinerary can be done in any order, we just wanted to give you a guideline of all there is to see in the city as well as ideas on how to save. By day 6 you’re probably thinking how much more is there to do? Well, you yet have amazing things ahead of you! 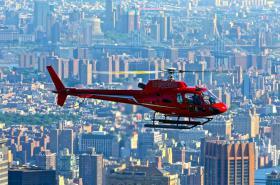 One of the most memorable experiences we have made in New York was taking a helicopter ride. The view from the helicopter beats all viewing platforms. Flying over the concrete jungle gives you a totally new perspective of New York. If a helicopter ride is a little too expensive, a great alternative is attending a sport event. New York is home to some of the best sport teams and there is always a game going on. 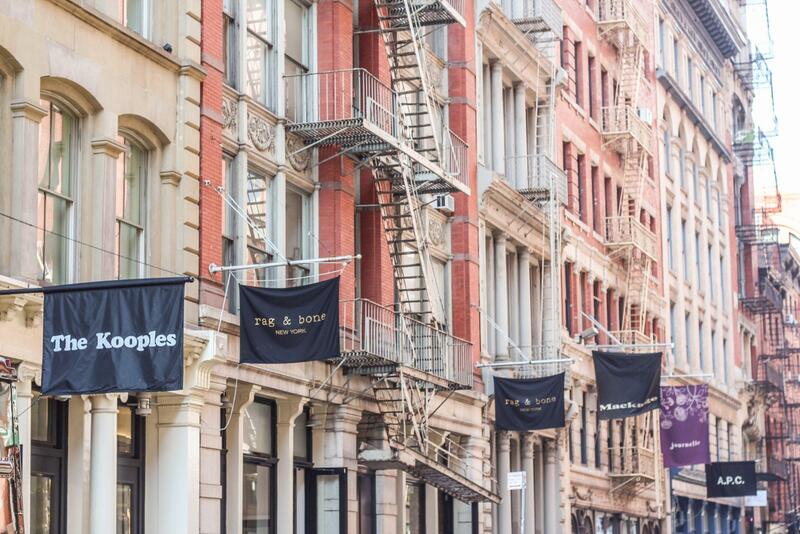 A helicopter ride or a sport event will take up most of your day, but there is still time left to explore lesser toured neighborhoods, such as SoHo, Little Italy, Nolita & Chinatown. Simply stroll through the neighborhoods and get to know their individual charms. What you’ll find? Shopping spots, beautiful buildings, great food and street art around every other corner. Day 7 of our New York itinerary may be the last but it is definitely not the least! At this point you have covered most of Manhattan, so why not head to a different neighborhood to experience something a little different? Let’s head out towards Williamsburg! The first place we recommend you visit is Prospect Park! On Sunday’s this is where Brooklyn’s famous Smorgasburg is held. 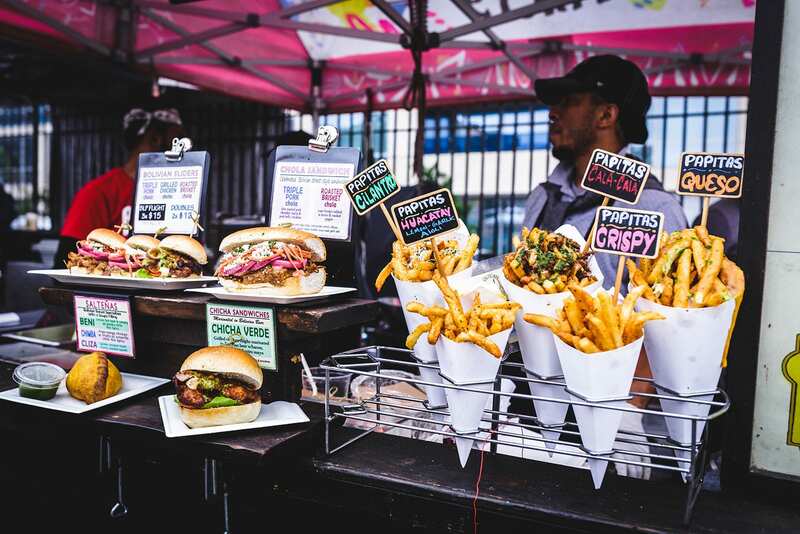 Smorgasburg is a food festival that is held during the warmer months on the weekends. Saturday’s it is in Williamsburg and on Sunday it is in Prospect Park. Another favorite to visit is the Brooklyn Museum. This museum is home to over 1.5 million works and is known for its expansive collection of Egyptian and African art. 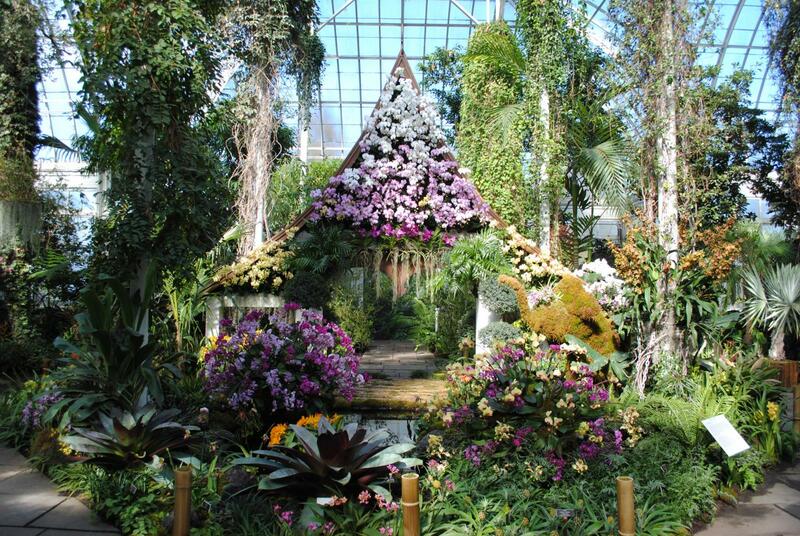 And last but not least, Brooklyn’s Botanic Garden! Enjoy the 52 acres of pure bliss! In Williamsburg you will see beautiful brownstones, boutique shops and restaurants as well as lots of street art. It definitely has a different feel to it compared to Manhattan. You may also find yourself near the Barclay’s Center. Basketball and ice hockey games are held here along with concerts. Its unique architecture makes it stick out against the grit, but it is a very cool building to pass by! What does one week in New York cost? Altogether, it comes to roughly $2,170 per person. The price for a flight & hotel also depends on where you are coming from, how far you book in advance and where your hotel is located. Are 7 days in New York enough? You can explore most of New York within 7 days. The itinerary above covers all must-sees for your first visit to the Big Apple. Frankly though, you can live in New York City and still explore new places every day. For you that means, it’s always worth it to come back and explore something new! What MetroCard should I buy for 7 days in New York? The MTA offers a 7-Day Unlimited MetroCard for $32 (+$1 for the card). With the 7 Day Unlimited MetroCard you can use New York’s entire subway network. You shouldn’t need any additional tickets to find your way around New York! Which Sightseeing Pass should I buy? For this particular itinerary we recommend the Sightseeing Pass Flex. Why? Because this pass allows you to save the most money on attractions! The total savings are $91! However, if you are trying to adapt this 7 Day New York itinerary, you should double check which sightseeing pass will be the most cost effective one. You can find out with just a few clicks! Thanks so much on your 7 day NY itinerary on a budget. My husband and I are planning on a trip this first week of September. We hope we can utilize a lot of your wonderful resources. You are welcome! Feel free to reach out with any other questions! Wow such a great itinerary. I’ve bookmarked it and will use it for my next NYC trip. Thanks! What?! This is awesome and so detailed! Thanks for taking the time to put this together! I can’t wait to visit! Can you help me build a good pass for me and my girls . We are traveling on June 12th to 18th we are taking 13 year old girls . We are a group of 3 adults and 5 girls cant decide between the 10 atractions or the 5 day pass trying to see as much as we can at the same time we want to be able to attend one Broadway show. A really useful guide!! We go in a couple of weeks and your page has been SO helpful planning our trip. Hi Sajal! Thanks, glad you enjoyed the guide! Coney Island is great and definitely worth a visit if the weather is nice. There is a lot to do here especially if you are traveling with kids – Luna Park, Brighton Beach, and the New York Aquarium are all great places to go. Also make sure to have one of the famous hot dogs at Nathans Famous! Fantastic tips for 7 days in NY. My family and I will be visiting for 10 days in September from Australia. You have made my planning a lot easier. Thanks. This blog is really awesome and I bookmark this blog for more update. Wonderful! Thanks for this useful guide and information. New York looks like something from another world, and your photos capture it beautifully! Wow great blog this was very informative and detailed there are many places to travel ….with kids i guess mostly and very helpful tips, Restaurant Recommendations are very good, and very reasonable prices, offers , discounts and many….Central Park & Colombus Circle is also beautiful…interesting blog.. thanks for sharing! I just booked the sightseeing FLEX pass but i didn’t receive the $40 voucher to redeem empire state building. When I email info.sightseeing, they just give me the ticket ID created. May I know how to redeem the ticket? you can redeem your credit at https://www.citysightsny.com/additional-products.html by using your pass number as the coupon code. You will then receive a voucher for the Empire State Building you will need to present on site. Remember that using the credit will count as one of your attraction choices! awesome piece of article! i’m planning our first trip to America for me and my wife in Mar’19 and we have about 6.5 days to tour New York. What do you think of the weather in march and if there’s anything special that we should take note of? also, on accommodation, any recommendation on the area we should look at? Appreciate and thanks, from Singapore! March is typically still cold in North East, so I would suggest to pack some warm clothes! Of course you should check the weather report as we get closer to March, but a snow storm is not unlikely during that month! Check out our March 2019 article here to see what’s going on. We frequently update the article to make sure you know about everything! I personally like the Yotel and Aloft very much. Both are reasonably priced and located close to major attractions. thanks for the recommendation – will definitely look into Yotel and Aloft. and i’ll definitely keep a tab on your March 2019 article too. is there anything must-see or must-do for first timers like us? looking forward to the cold weather in march! Great Itinerary! I am visiting NY in October for a week! How can i download the PDF version?